This pizza is one of the best I’ve made. I absolutely love it. In this recipe I’ve combined the traditional Tennessee version of pulled pork which is served with a barbeque sauce, and the South Carolina version, which is served with a mustard sauce. 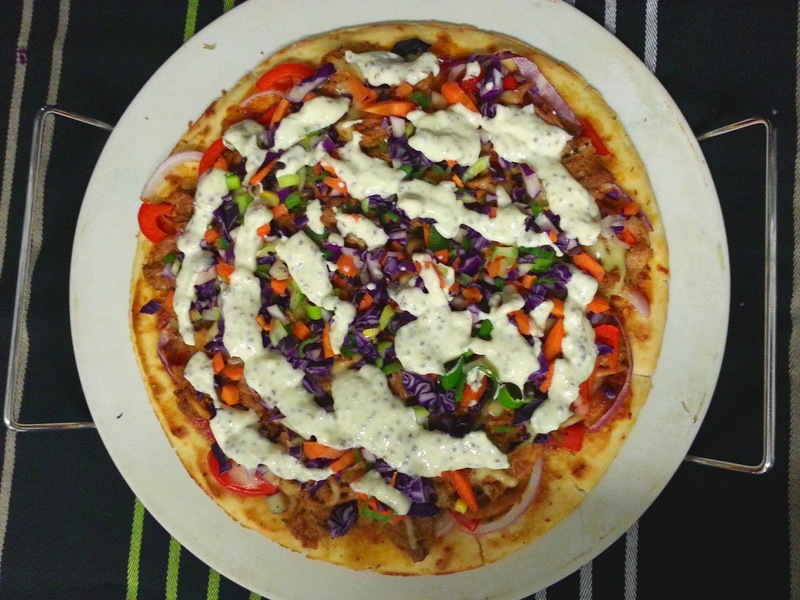 Pulled Pork and coleslaw are a match made in heaven, so this pizza just made sense. It is surprisingly filling, reheats well and will leave a lasting impression on your taste buds. It is one that is coming back in my household again in the future. I’m actually struggling this time because I think it does not need a single tweak. I guess the only thing I could suggest is making your own pizza base rather than using store bought. You could also use (un-dressed) store bought coleslaw instead of making your own if you prefer. Remove from the oven, sprinkle with coleslaw and drizzle with mustard sauce before serving. Omigosh so yum. I want to eat it again. The Dragon loved it too, even though he was weirded out by me putting coleslaw on it after taking it out of the oven. The textures work so well. The pork is soft and the coleslaw gives just this little bit of crunch without taking over, and the mustard sauce is dreamily good. All of the flavours were meant to be together. In my opinion, you can’t make pulled pork and not make this! 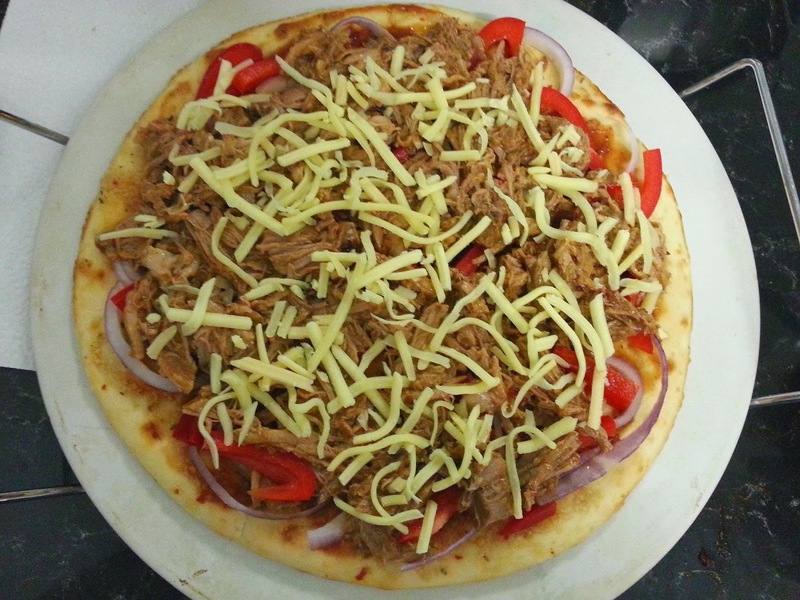 What are your pulled pork pizza ideas?